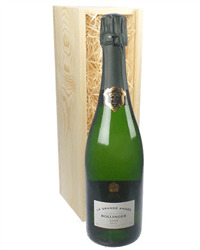 Bollinger Grande Annee is the vintage Champagne produced by the much favoured house and this is their 2007 vintage. 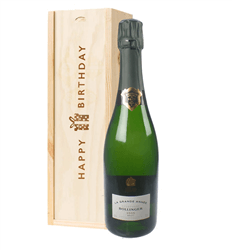 Released in 2017, this is a superb tasting vintage Champagne produced from the best Grand Cu (top rated grapes from select vineyards). To compliment this great tasting Champagne, Bollinger have produced an excellent looking gift box for the Champagne to be presented in.